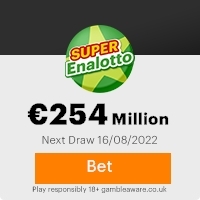 This lottery was promoted and sponsored by Bill Gates, President of Microsoft, the world's largest software company inorder to enhance and promote the use of Internet Explorer Users and microsoft-wares around the globe. This promotional program takes place every three years. We hope with part of your winning you will take part in our end of year 50 million Euro International lottery. Remember,all winning must be claimed not later than two weeks, After this date all unclaimed funds will be included in the next stake.Please note in order to avoid unnecessary delays and complications please remember to quote your reference number and batch numbers in all correspondence. Furthermore, should there be any change of address do inform our agent as soon as possible. This Email with the Subject "Congratulation!!!" was received in one of Scamdex's honeypot email accounts on Fri, 24 Nov 2006 07:56:26 -0800 and has been classified as a Generic Scam Email. The sender shows as jenny@jmondy7.orangehome.co.uk, although that address was probably spoofed. We recommend that you do not attempt to contact any persons or organizations referenced in this email, as you may expose yourself to scammers and, at the very least, you will be added to their email address lists for spam purposes.